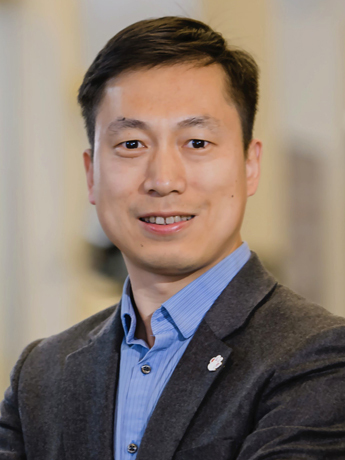 Dr. Yunyi Jia joined the Department of Automotive Engineering in 2016 as an assistant professor in the Clemson University International Center for Automotive Research (CU-ICAR). He directs the Collaborative Robotics and Automation (CRA) Lab which is located at both CU-ICAR and Center for Manufacturing Innovation (CMI). Dr. Jia’s research focuses on collaborative robotics, autonomous vehicles, and advanced sensing systems which are being supported by both federal agencies and industries. His teaching covers automotive electronics and autonomous driving technologies. He has also been actively organizing multiple education and outreach activities spanning from K-12 students, college students, industrial engineers, to the public. Dr. Jia is the recipient of the NSF Faculty Early Career Development (CAREER) Award (2019), NSF Computer and Information Science and Engineering (CISE) Research Initiation Initiative (CRII) Award (2018), and SAE Trevor O. Jones Outstanding Paper Award (2017). Dr. Jia received his Ph.D. in Electrical Engineering from Michigan State University in 2014, M.S. in Control Theory and Control Engineering from South China University of Technology in 2008, and B.S. in Automation from National University of Defense Technology in 2005. He is a member of the IEEE, ASME and SAE.